Edinburgh Comedy Award Best Newcomer nominee, Chris returns with a brand-new show. If you like your comedy hard-hitting, boundary-pushing, genre-defying, jaw-dropping, eye-watering and Brexit-berating, then this is definitely not the show for you. However, if you fancy a laugh as a lad from Wigan tells you some funny stories for about an hour, buy a ticket and take the ride. As seen on Live from the BBC (BBC One). Jason Manford Tour Support. British Comedy Guide Recommended 2018. 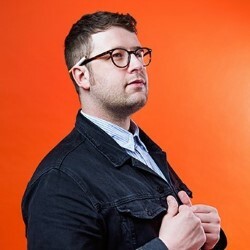 'A mainstream comedy star in the making' (Chortle.co.uk). 'Funny, relatable and heartwarming' (BroadwayBaby.com).